Must be a 2019 member to attend. *Parents who wish to attend must become Associate Members of the TJLA. 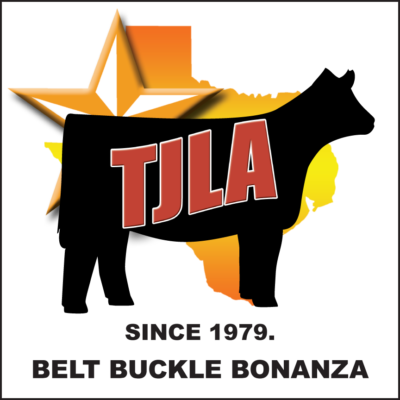 Join the TJLA by just adding membership to your order. * Click here to join and add to your cart! We, the youth exhibitor, parents or guardians, and CEA or AST, do agree that in consideration of the Texas Junior Livestock Association allowing the undersigned to participate in the TJLA Camp, we, the undersigned, indemnify and hold the TJLA, its officers, directors, employees, the City of Bryan and the Brazos County Expo Center harmless from and against any and all claims, losses, demands, obligations, causes of actions and law suits and all damages (including punitive and exemplary damages) liabilities (including strict liability, fines, penalties, judgements, costs (including settlement costs) and expenses associated therewith (including the payment of reasonable attorneys fees and disbursements) (herafter collectively referred to as “Damages”) to the extent damages arise out of (1) failure of the undersigned to comply with the terms and conditions of this Entry Form; (2) the failure of the undersigned to comply with any applicable federal, state or local laws; (3) the services performed or actions taken by the undersigned; (4) the negligent, grossly negligent or intentional acts or omissions of the undersigned; or (5) any acts caused by the undersigned’s animals. We, the undersigned, have read and voluntarily sign this release and waiver of liability and indemnity agreement, and further agree that no oral representations, statements, or inducements apart from the above have been made.